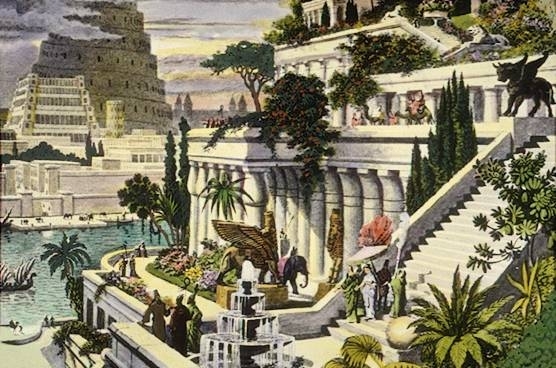 The legendary Hanging Gardens of Babylon were one of the seven wonders of the ancient world. They were supposedly created by the Emperor Nebuchadnezzar II, the king of Babylon, for his Persian wife, Queen Amytis. 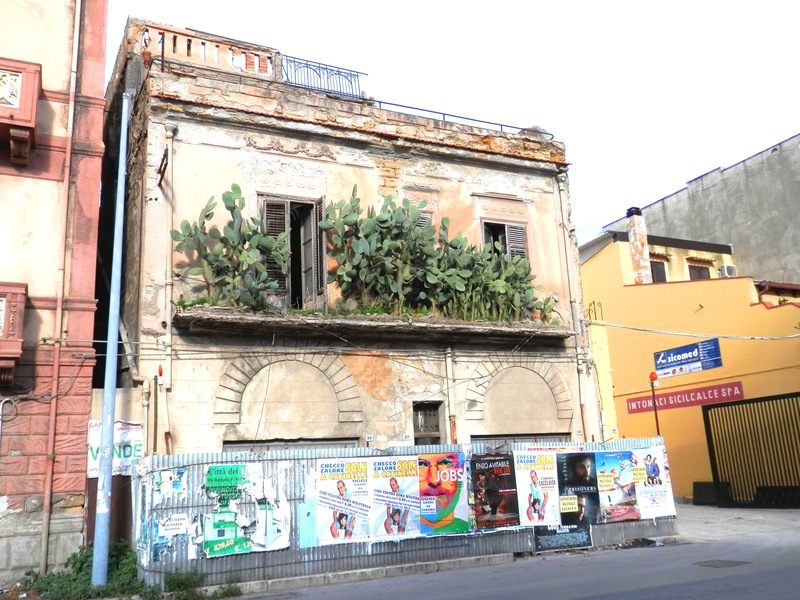 We have a hanging garden in my home town in Sicily, too, and this post has photos of it. The whole deal with the hanging gardens was that they were elevated on terraces to give spectacular height. If they ever existed, that is. Some say that the Hanging Gardens were really just a myth invented by the Greeks, whose minds merged the various tales of the fabulous Arabic gardens they had heard of into one ultra-lush super-garden. “That used to be a marvellous garden created by the Arabs,” and then they list the various plants that grew there, and sigh. They are usually sighing because most of the plants they list produce edible bits. The fact that the garden in question has been nothing but a patch of scrub land for almost 1,000 years doesn’t dampen their sorrow at its passing. “My beautiful rubber plant has perished,” and then stood bewildered while my sisters and I fell about laughing. As far as I know, the only Arabic garden that still exists in Sicily is the Garden of the Kolymbetra in Agrigento. I’ve been there, seen that and got the mosquito bites. It was itchy but beautiful. I will be publishing a blog post about that soon. WATCH THIS SPACE! 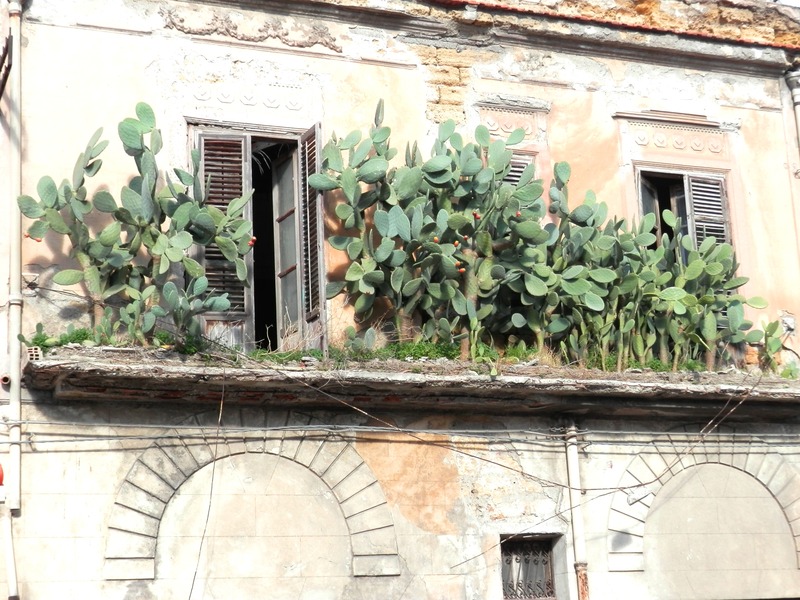 Meanwhile, I invite you to enjoy to beauty of this particular Sicilian Hanging Garden in my home town. 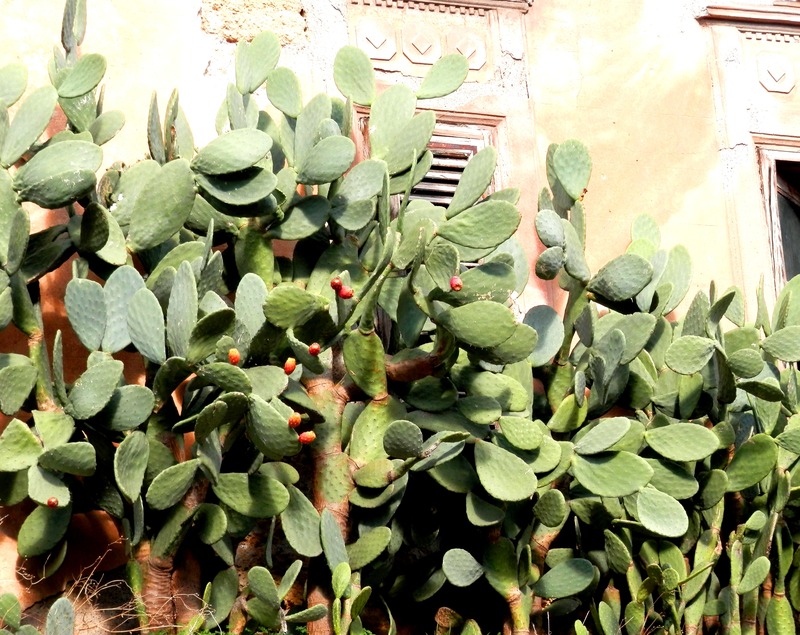 I snapped these lovely prickly pears in Bagheria today. Moving to the left, you can see that they stand in front of an old, once-beautiful empty house. Stepping back, you can see that, actually, they are growing on its balcony. Yes, this really is a Hanging Garden! Here’s the whole house. They had to block off the pavement at the front, just in case the Hanging Garden lands on you. That would be unpleasant, I would wager. Not only would you be buried in a few tons of masonry, you would get prickly pear thorns jabbing through your (broken) bones. And in case you think I headed to an abandoned building site – oh no no! 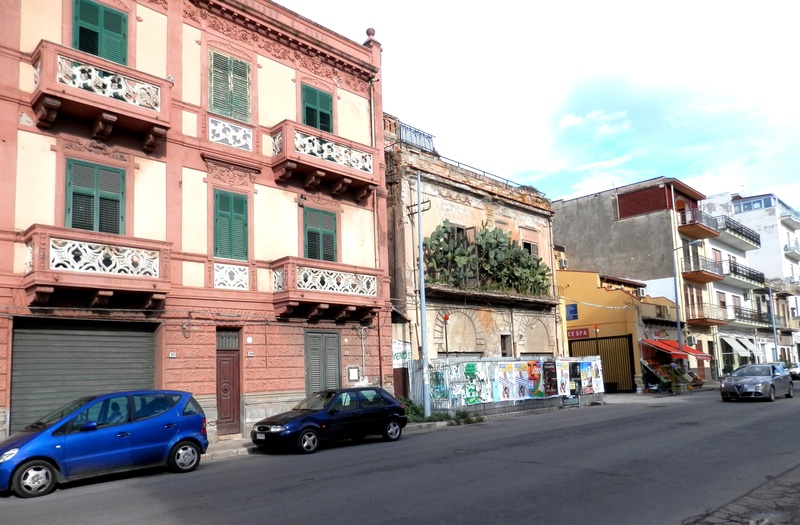 – the house stands between inhabited buildings in one of the town’s most well-used streets. It is in fact the State Road SS113. Amazing, italy and in-particular Sicily never fails to amaze me. I visited once a few years ago and can’t wait to return! Wonderful place. Great post! I got all excited when I saw your title: I bowled in there thinking “Bagheera!Yoopie!! Jungle Book! Mowgli and Baloo!” Turns out it was about plants in the Scilian Urban jungle, and just as much fun. 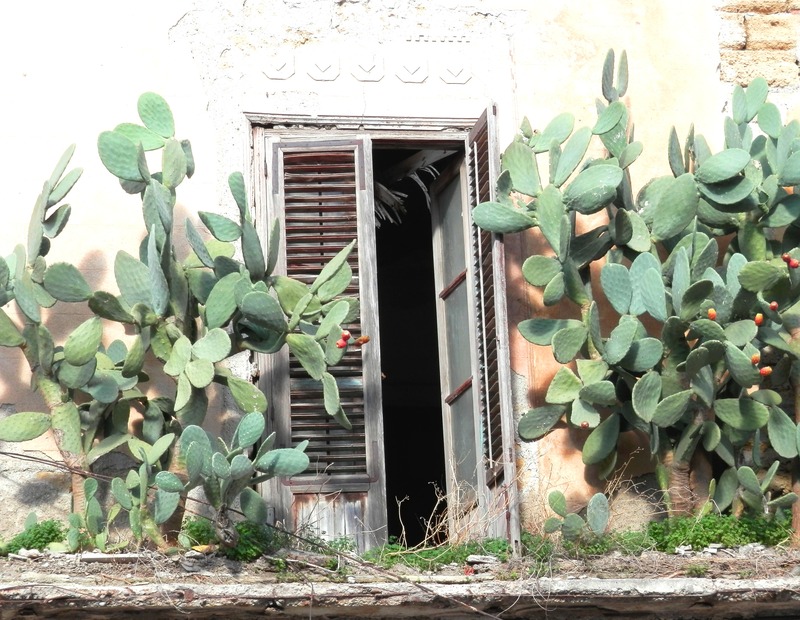 THe architect who built that house would be proud of that balcony’s strength… Maybe Baloo lives in that house and sings “Don’t pick the prickly pear with the paw, when you pick a pear, try to use the claw…” behind the cacti. Ok. I’ll stop. I’ll have to tell my son Bagheera and Baloo live there, since we drive past it on the way to and from school each day. He’ll love that! And you’re right, it’s an impressively strong balcony. They don’t make ’em like that any more! I am enjoying your blog so much. In my soon-to-be released novel, The Sisters: Ten Days in Sicily, I use actual rental-car experiences from my trip there in July. Enhanced by one of the sisters talking about those she read about on a blog. Thank you for helping to make the car rental scenes really funny. Glad you’re enjoying it! Always a pleasure! You are opening my eyes to Sicily. I had never thought to go there (from the States), but I may be changing my mind!